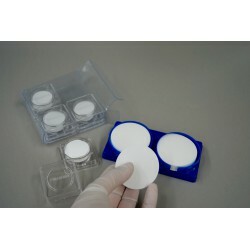 Membrane filters There are 9 products. The CA membranes are produced with pure cellulose acetate which is modified, and have a high filtration efficiency. Naturally hydrophilic, they present a good thermic stability and a weak fixation of proteins. 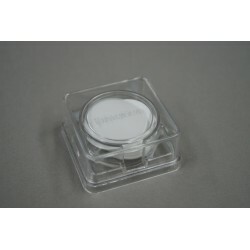 They are suitable for biological, aqueous samples and for filtration of proteins or enzymes. Naturally hydrophilic, polyamide or nylon membranes are used for aqueous samples, alkaline or organic filtration of HPLC samples for their chemical resistance to alkaline solutions and solvents. The MCE membranes are made with cellulose acetate and cellulose nitrate fibres, they are naturally hydrophilic, mechanically stable and have a high loading capacity. 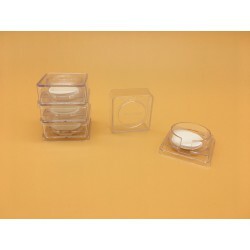 They are suitable for microbiological analysis or for pre-filtration and clarification of samples. The MCE membranes are made with cellulose acetate and cellulose nitrate fibres, they are naturally hydrophilic, mechanically stable and have a high loading capacity. 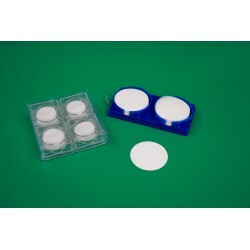 They are suitable for microbiological analysis: colonies counting, microbial growth. Hydrophilic and chemically resistant to organic solvents, the PC membranes are more efficient in term of flow rate due to their asymmetrical structure. They present a good chemical and thermic stability and are adapted to the electronic microscope analysis. 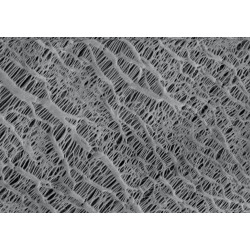 The highly asymmetrical pore structure of our PES membranes offers an excellent loading capacity and high flow rate. 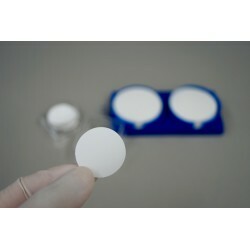 Naturally hydrophilic, they are made with polyethersulfone polymer and are designed to remove particles during general filtration and their low protein and drug binding characteristics make them ideally suited for life science applications. Hydrophobic, polypropylene membranes show an excellent chemical compatibility with most organic solvents but can only resist temperatures below 50˚C. They are specifically recommended for ionic chromatography. Naturally hydrophobic, the PTFE membranes are made with polytetra-fluroethylene laminated with a PP layer. They can be used in air and gas filtration or for chemically aggressive or acid for samples. For the filtration of aqueous solutions, you should wet them first with isopropanol. 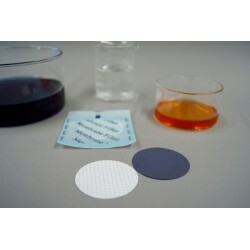 RC membrane filters are hydrophilic and show a high chemical resistance to all solvents. They are very convenient for solvent filtration.